Save the world, one drip at a time. Every ocean started with a drip. 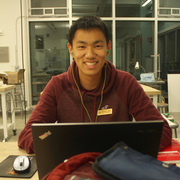 We believe in the power of small things adding up to big things. 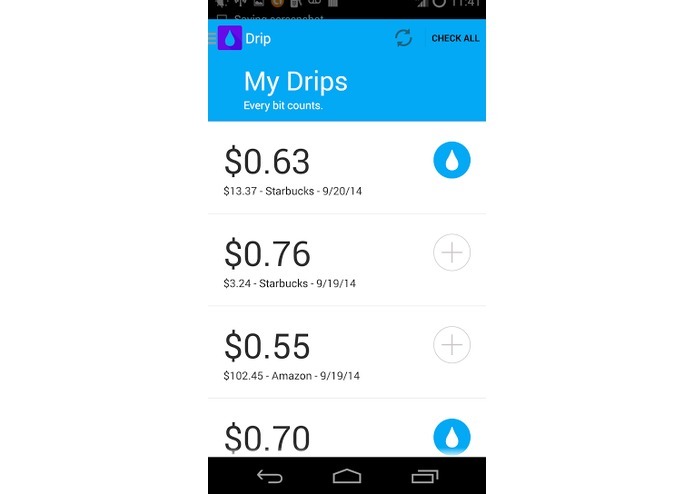 We created Drip to make it easier to support charitable causes by donating spare change from your daily transactions and payments. 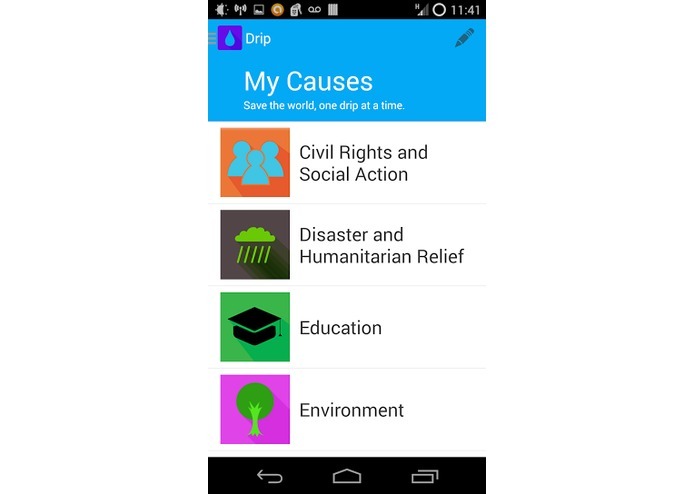 With Drip it's never been easier to donate to your favorite causes. 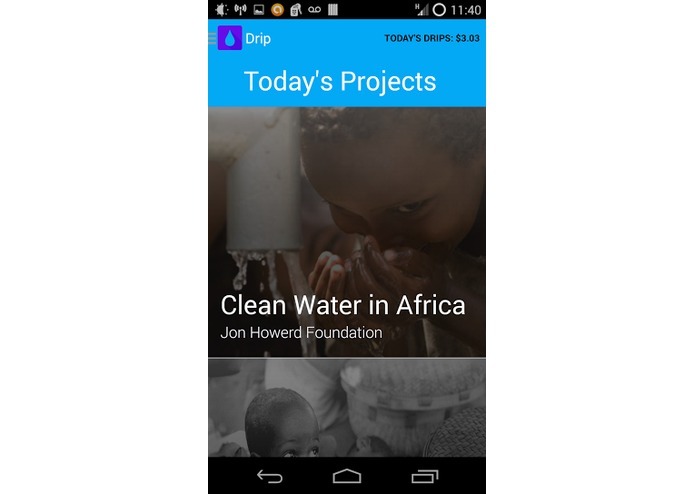 Every day, Drip suggests projects based off your preferences and donates your spare change to those projects.